This book complements the collection True Thoughts, published by Salt Modern Poets in 2008. 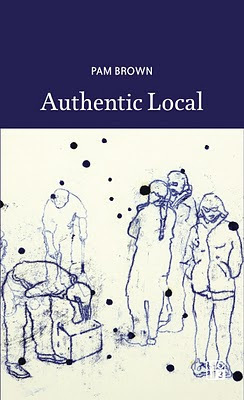 Authentic Local collects around fifty poems written in the years between 2002 and 2005, most of which were put aside whilst compiling the selection for True Thoughts. To read Ken Bolton and Carl Harrison-Ford on True Thoughts click here. Read Tim Wright on the same collection here. A number of recent poems are included in Authentic Local alongside the earlier material. The title reflects a consistent irony that is threaded throughout the poems. An ‘authentic local’, like a Benjaminesque restless cosmopolitan, can inhabit any place at any time and for any period of time. So these poems are variously located. The pastiche of this group of poems addresses (among other things) the concept that the ‘self’ is never fixed, that it is a slippery notion and that it is perhaps nothing much more than a daily work of bricolage. The poems are energised by dualities : self-deprecating wit coupled with associated knowledge and depth, the mundane and the illuminated morphing together textually, the local (Australian) and the international quizzically extemporized via things and moods, and via moments of brief existential measuring. The energy in the use of dualities together with an avoidance of placing judgement enables a discovery of beauty in the various contrasting ideas in this manuscript. Encompassing opposing ideals of academic and domestic, foreign and familiar, the poems are always at odds with the ‘lyrical’ and yet they are lyrically engaged. What else can you do in the face of dark times (permanent war, floundering science, haywire climate), and your experience of this as unspectacular, utilitarian and silencing, but disrupt that silence and search for and imagine a role. One thing you can do as a poet is turn irony back on yourself and write poems made as if from particles that offer a range of trajectories arcing off into open space, that might evoke in a reader action and reaction. These poems hope to never fail to give – and to give generously with humour and acuity from a tempered, critical and ultimately optimistic delight in the oddness of the world. Jon Cattapan - a detail from a carbon drawing. This reads like a very interesting collection. I must check it out further.